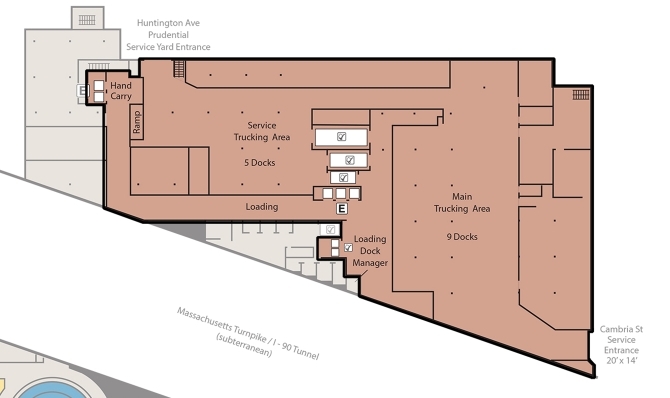 The Hynes’ 14 loading docks makes event move-in and move-out easy. Just minutes from major interstate highways, the loading dock area is easily accessible. Completely weather-protected with a dock door air curtain helps to prevent heat from escaping from the loading dock and gives organizers comfortable loading all year round. 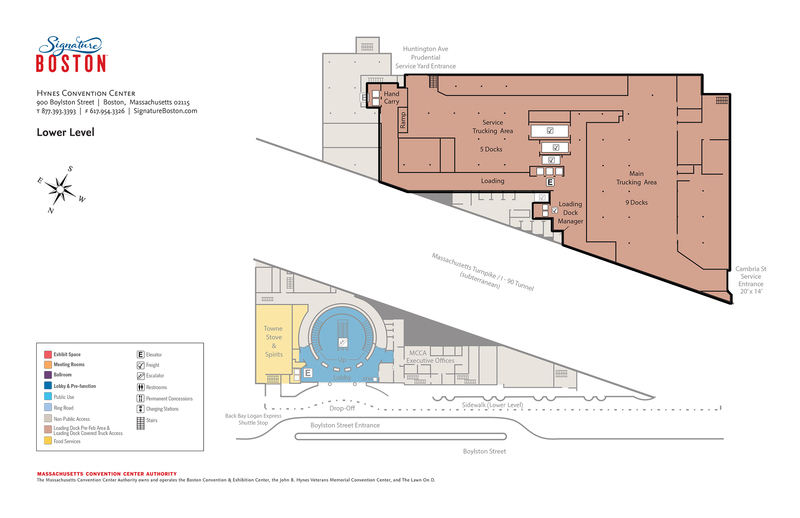 There are Seven truck levelers accommodate different vehicle sizes, direct drive-on vehicle access to Exhibit Hall B, as well as large freight elevators servicing each exhibit level. 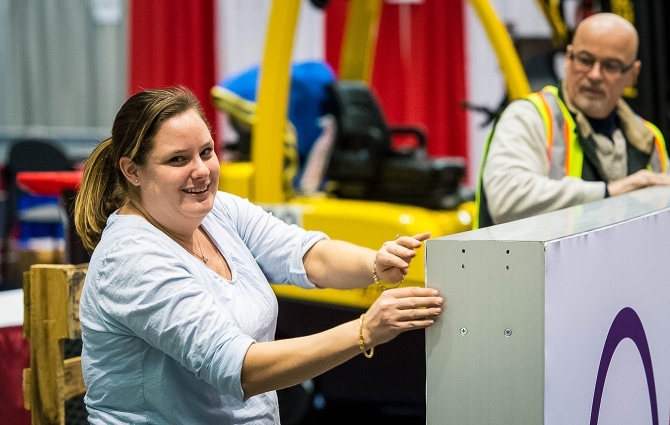 Private hand-carry privileges are available for self move-in; Boston’s exhibitor-friendly labor rules allows your exhibitors to unload and set-up their booth themselves.